Hi everybody! 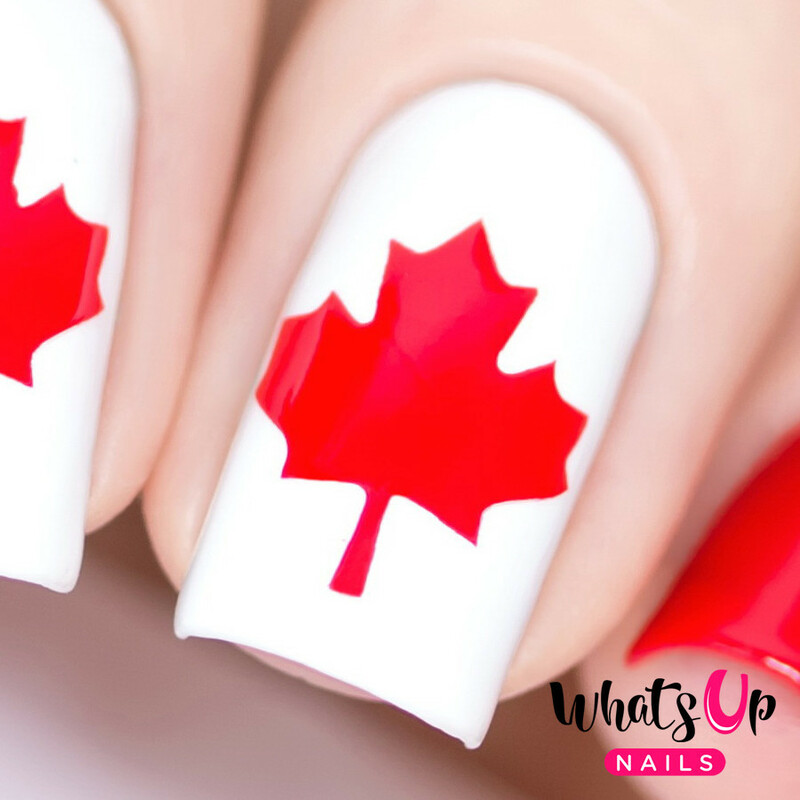 Once again, in anticipation of Canada Day on July 1, Nail Polish Canada is giving away a number of Canada Day nail vinyls by Whats Up Nails! The first ten people (Canadian addresses only, please) to use the coupon code QJRG3846006 will receive the nail vinyls for free. If all ten have already been redeemed, you can check Nail Polish Canada for a list of other participating blogs, each with a unique redemption code. Disclaimer: This product is a press sample and was provided by Nail Polish Canada as part of a promotion. There are no referral links in this post.